I am a PSA master rated coach in free skating and moves in the field. I am very proud to have earned a master rating in two disciplines, as this is rare. I coach state, regional/sectional and national skaters at the Figure Skating Club of Bloomington in Minnesota at a’Xel International Training Center. My students are all extremely competitive and elite skaters, which means I keep busy by traveling with them to fulfill their needs. In fact, this upcoming season, my student Michelle Hedges (who wears Riedell) will be competing internationally as a novice in the U.S. Figure Skating Novice and Junior Challenge Skate in September—I couldn’t be more proud! I absolutely love what I do and feel complete passion and commitment for all my skaters. I come from a skating family. I first hit the ice when I was only two years old. In the beginning, however, I sported hockey skates (my father was a hockey coach), but was quickly attracted to figure skating from watching my sister skate. The rebellious side of me would practice spins in the corner of the rink during my hockey games, until my father gave me the okay to begin figure skating lessons. Jumping especially came natural to me and within the first six months of training, I was performing double jumps with ease. However, as the skaters out there know, the sport is expensive, so I had to quit competing when I was 16 years old. I finished high school a year early and went on to graduate college with three different degrees in music. From there, I went into musical theater, traveling with a touring company and spent some time with the Minnesota Opera. I continued to travel worldwide for many years while working for Gucci. That’s when my childhood figure skating coach approached me and asked if I’d be interested in helping her train her advanced skaters, due to the good eye for technique I exhibited in my youth. In my first years of coaching, I still mentored with other coaches (including observing Audrey Weisiger, from the wonderful Grassroots to Champions organization) and am lucky to have helped train three National competitors while still being new to coaching. A few years later, I left for Bloomington to test out my own skating philosophies and after just a year and a half, helped to produce National competitor Rohene Ward. It’s been an incredible journey! 4. 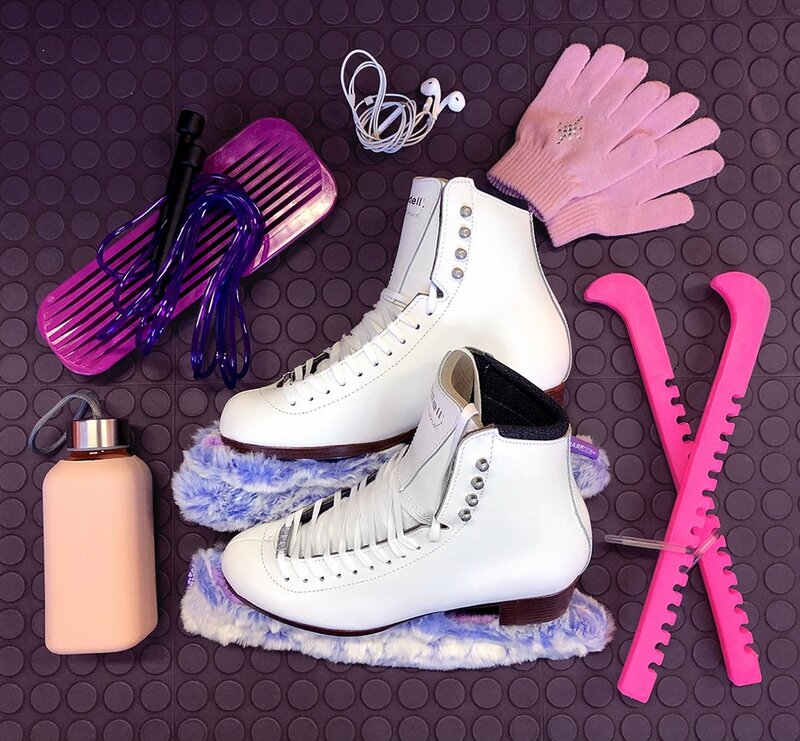 What do you love about figure skating? So many coaches will tell you what they dislike about the demanding sport—and with good reason. However, there’s so much to love! Skating is for life and that’s what I teach my students. Regardless of where my kids end up going in the future, there are lessons learned from this sport that they will have for life. Figure skating teaches kids how to be a valuable part of society—you learn respect, organization, integrity and so much more. My coaches did everything they could for me; that’s why I do everything possible for my students to help them succeed. I get so much energy from my kids and this makes me even more passionate about the sport! 5. Why put your trust in Riedell? Riedell has been so good to me as a skater and a professional. I currently wear the HLS 1500 to coach because I still love doing jumps. All of my seventeen athletes skate in Riedell because the people at Riedell know figure skate boots inside and out. My favorite thing about Riedell is that they listen to you. They listen to coaches and professionals in the industry, take feedback, then make alterations if necessary, and produce the best boots out there. I worship Riedell—I wouldn’t skate in anything else.